Councilmember Barbara Bry is seeking University City residents to serve on the Pure Water Working Group. In University City, there will be construction and related lane closures on Genesee, Nobel, Town Center and Executive Drive. The purpose of the Working Group is to ensure that community concerns regarding the construction of the pipelines are identified and understood by the City; and to propose ways to avoid, minimize, or mitigate concerns associated with the construction. 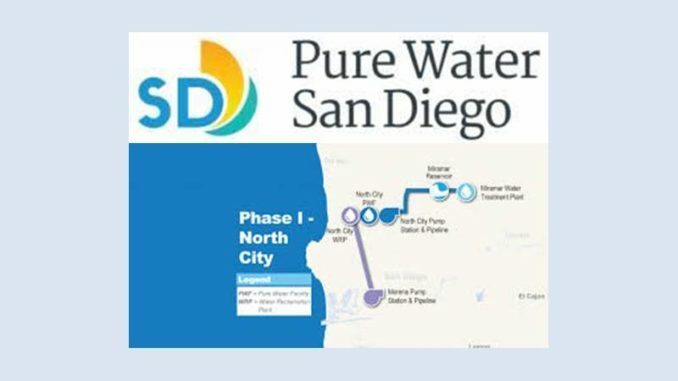 On April 10, the San Diego City Council heard the issue of whether to certify the Pure Water Environmental Impact Report (EIR). City Council voted, unanimously, to certify the EIR. The University City Community Foundation (UCCF) has initiated legal action challenging the Pure Water EIR, citing CEQA flaws (California Environmental Quality Act), to request time for the City Water Department to review alternative routes for the proposed major sewer lines through Clairemont and University City. One is a large pipe forcing raw sewage from the Morena plant in Clairemont up to the water reclamation plant on Eastgate Mall, east of the 805. The second adjacent pipe will carry sludge back down to the Morena plant for additional treatment before release into the ocean. In University City, there will be lane closures along Genesee, Nobel, Town Center and Executive Drive during the construction. UCCA will continue to provide updates through our various websites and our July newsletter will have up-to-date information related to any announced court findings.